What are the most important considerations in choosing a self-defense method? A method of self-defense can be made up of many components, but most experts who study violence usually simplify things to "tools" and "tactics." Once upon a time, violence only occurred in the "bad" neighborhoods. In today's world, violence occurs where we work, where we live and where we play . . . and it descends upon us quickly and unexpectedly. Americans are learning to be prepared for the unexpected. They are learning to protect themselves and their families because the crime is usually over before law enforcement agencies can get to the scene. CCW Breakaways does not advocate one favorite firearm style or one favorite firearm caliber. We believe the "best" gun is the one that you know how to use and the one that you carry at all times. The first rule of a gun fight is to bring a gun. Unarmed people are at a real disadvantage. A large caliber handgun that is sitting beside your night stand is of little value if you are on the street or in your vehicle and you do not have it when you need it. We have trained handicapped individuals with limited dexterity and mobility . . . and we have trained martial artists with great strength and prowess. Some folks just could not handle the recoil of larger calibers and some folks managed it well. Again, we are indifferent about the "what is best" arguments in this industry . . . a revolver v. a semi-auto . . . a .380 v. .45 . . . single stack v. double. We are advocates of this principle, "carry a firearm that you know thoroughly and one that you can operate effectively and efficiently." Our webpage titled The Method presents data to support the "typical violent encounter" . . . 3 shots - 3 yards - 3 seconds. The video below was obtained from the Marion County Sheriff's Office in Ocala, Florida. It pretty closely represents the 3-3-3 principle. 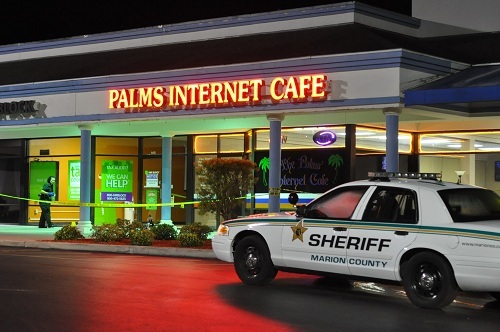 It records the Internet Cafe robbery on July 13, 2012 where a 71 year old patron used a CCW to defend his life and the other patrons. The crucial details are provided below. You may need to PAUSE the video . . . or watch it in full screen mode . . . or view it several times to catch specific actions. Please take note, the bad guy did not stop to ask what firearm, what caliber, or what size was being used. The key was rapid deployment and fast action. 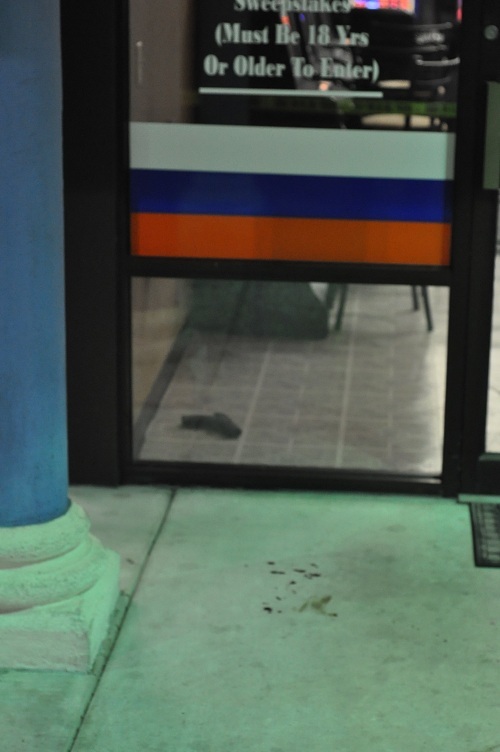 The bad guy left his gun behind (inside the cafe on the floor). Thank you Marion County Sheriff's Department!